When most of us think of slavery in the south, we picture rural plantations and fields of cotton but a new book and an exhibit at the Jepson Center for the Arts in Savannah, Slavery and Freedom in Savannah, looks at the subject of urban slavery. While rural slavery on the plantations was a more visible fact, urban slavery was instrumental to America’s slave-based economy. The story of the lives of the African Americans – both free and enslaved — who built and worked at various homes in and around Savannah are documented in the exhibit and book, shedding new light on this often forgotten yet integral part of American history. 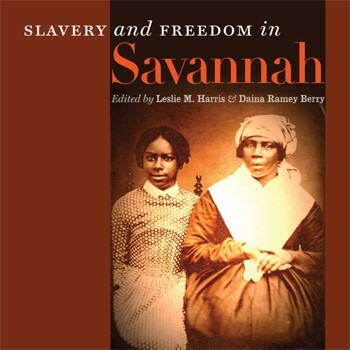 “Slavery and Freedom in Savannah,” written by historians of both the south and Savannah and edited by Leslie Harris, associate professor of history at Emory University, and Daina Ramey Berry, associate professor of history and African and African Diaspora Studies at the University of Texas, provides insight into 300 years of urban Georgia life. The exhibit at Jepson Center for the Arts, a Telfair Museum, features images, accounts, and historic objects to help illustrate the story. One such piece is a humble yet shining silver tankard. The silver tankard was given to a slave in 1804, at Hampton Plantation on St. Simon’s Island by slave-owner Pierce Butler, as a reward for saving over 100 other slaves during a hurricane. Some 55 years later, Butler’s son sold 429 slaves, undoubtedly including some of the hurricane survivors: the largest slave auction recorded in American history. The objects in the exhibit help to ground the stories and illustrate how the prized possessions of wealthy, white urban slaveholders were also daily held and polished by enslaved laborers. 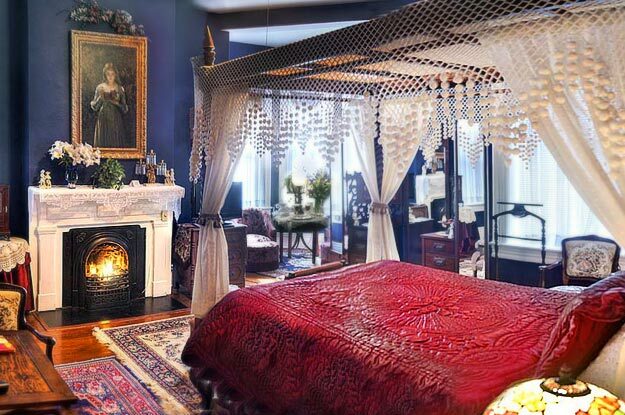 Savannah, Georgia is a beautiful and fascinating place to visit. 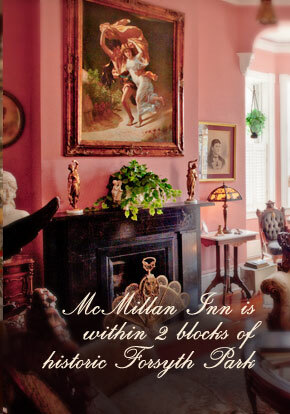 Whether you’re here for the wonderful museums, events like the 2014 Savannah Music Festival (which, as of this writing, we still have some mid-week rooms for), we would love to put you up in our historic and romantic Savannah bed and breakfast, McMillan Inn.